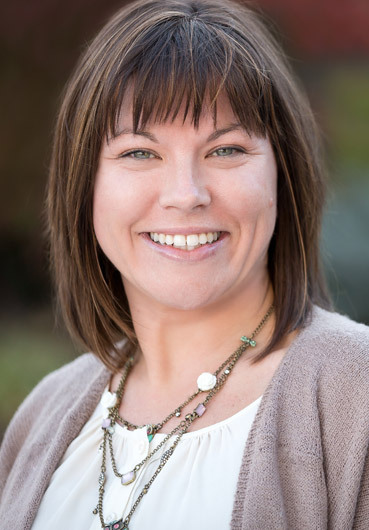 What Can Cosmetic Dentistry in Harrisonburg and Woodstock Do for You? 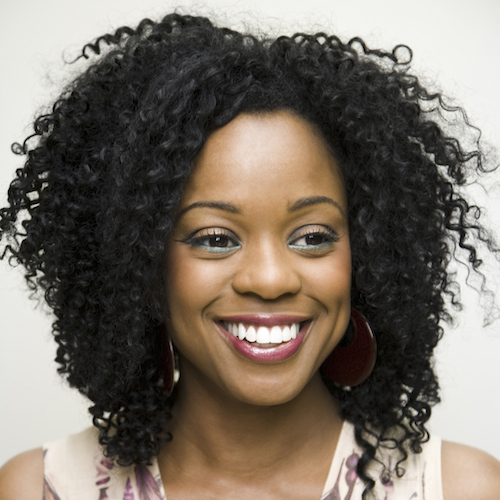 Having a healthy, bright, beautiful smile enhances your appearance and allows you to smile with confidence. Thanks to the advances in cosmetic dentistry, our Harrisonburg and Woodstock dentists are able to improve your smile with quick, painless, and affordable treatments. ‘‘Straight forward and easy to understand is how I describe the doctors. They are very good and care. The staff is very professional and I feel like I am in good hands every visit. I enjoy being greeted by first name when I arrive. Nice ambience. Overall, a solid practice with incredible charm. Get a Superstar Smile Today! A crown (or cap) may be needed if a tooth is broken, decayed, fractured, or in need of cosmetic repair. The crown is a cover encasing the entire tooth surface, restoring it to its original shape and size while protecting and strengthening the tooth's structure. Although there are several types of crowns, porcelain (tooth colored crown) is the most popular. It's highly durable and will last many years and only requires two appointments where we take accurate molds (give you a temporary crown) and place the bespoke crown. Porcelain crowns are made to match the shape, size, and color of your teeth, giving you a long-lasting, beautiful smile. A crown procedure usually requires two appointments. Your first appointment will include taking several highly accurate molds (or impressions) that will be used to create your custom crown and a temporary crown, which will stay on your tooth for approximately two weeks until your new crown is fabricated by a dental laboratory. Your dentist will prepare the tooth by removing any decay and shaping the surface to fit the crown, and your temporary crown will be placed. At your second appointment, your temporary crown will be removed, we'll clean the tooth, and your new crown will be carefully placed to ensure the spacing and bite are accurate. Veneers can completely reshape your crooked, discolored teeth or even a misshapen smile. They can often be alternatives to crowns and the ideal solution to treating many dental conditions. Our office uses Lumineers. Lumineers are very thin pieces of durable, tooth-shaped porcelain that are custom made (for shape and color) by a professional dental laboratory and fitted in just two visits. They are bonded to the front of teeth to create a beautiful and attractive smile. 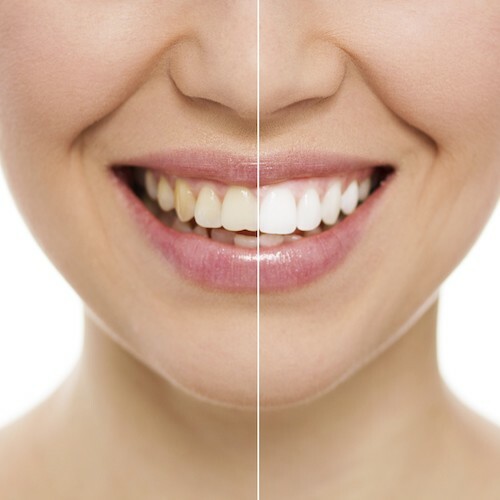 Teeth whitening (or bleaching) is a simple, non-invasive dental treatment used to change the color of natural tooth enamel and is an ideal way to restore the beauty of your smile. There are many ways to whiten teeth, and the most popular method is using a home teeth whitening system. Since teeth whitening only works on natural tooth enamel, it is important to evaluate the replacement of any old fillings, crowns, etc. Replacement of any restorations will be done after bleaching so they will match the newly bleached teeth. Teeth whitening is not permanent. A touch-up may be needed every several years, especially if you smoke and drink coffee, tea, or wine. This type of teeth whitening usually requires two visits. At the first appointment, impressions (molds) will be made to fabricate custom, clear, plastic, trays. 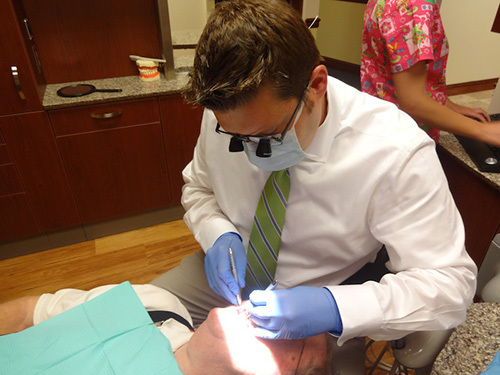 During your second appointment, you will try on the trays for proper fit, and make any adjustments. You'll wear the trays with special whitening solution either twice a day for 30 minutes or overnight for a couple of weeks - depending on the degree of staining and desired level of whitening. ‘‘I highly recommend both Dr. Eyes and Exceptional Smiles Family Dentistry. I have been a patient of this practice for 7 years. I always feel comfortable and well taken care of by the doctors and staff. Dr. Eye is awesome and I trust his care. I would not go anywhere else. Invisalign® is the modern, clear and discreet alternative to traditional braces. If you desire to have a beautiful, straight smile, then we have a FREE GIFT for you. 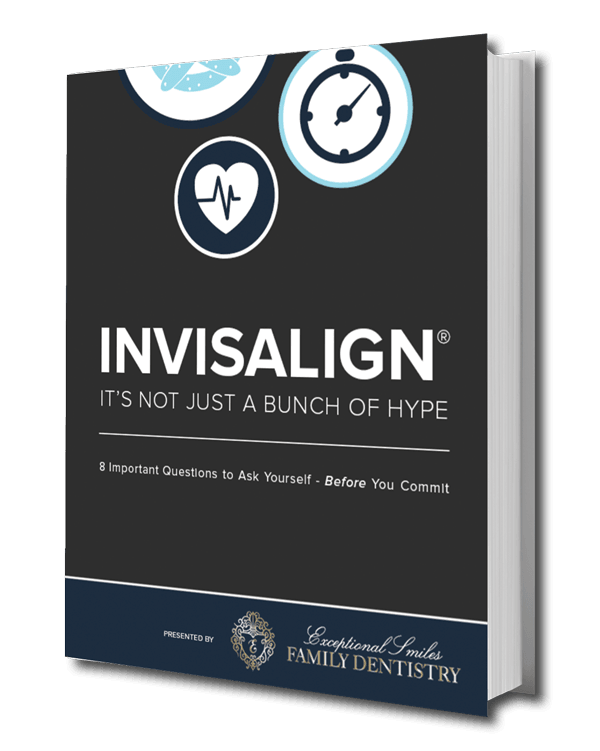 Download our Invisalign® eBook to discover how these custom-made clear aligners can revolutionize your smile and your life.